Shannon Mall opened its doors in August 1980, south of downtown Atlanta. Originally named after the developer’s daughter, the anchor stores consisted of Sears, Davison’s, and Rich’s. Another wing was added in 1986, with Mervyn’s department store as the anchor. At the time it opened, Morrison’s Cafeteria was the only sit-down restaurant. A year later the mall was renamed Shannon Southpark Mall. Hanging plants remain in the food court atrium in 2014. Shannon Southpark Mall was successful throughout the 1980s. Skylights provided natural lighting inside the mall with a large glass sun window in the food court. New management took over in the early 1990s and the mall slowly began to decline. Shannon Southpark was built on the premise if you build it, they will come. Unfortunately that wasn’t the result. Developers built the mall in front of a large wooded area bordering a declining neighborhood. They planned to build an office tower behind the mall to increase foot traffic, but plans never materialized and the foot traffic never came. During the early 1990s, the suburbs of Atlanta began to grow and shoppers went elsewhere. Newer open air strip malls and competing malls became easier to get to. The decrease in traffic and advertising severely affected the mall. Toys R Us left in 1996 and Mervyn’s closed their doors in 1997. JcPenney took over the old Mervyn’s wing a year later. Shannon Southpark Mall was dealt another setback when Macy’s, located in the old Davison’s store, closed down and moved to a competing mall. The space was never occupied again. Hoping to revive the mall, the owners invested $10 million in renovations. They upgraded the floor tiles, changed out the seating, and revamped the entrances with brighter colors. They also changed the name back to Shannon Mall. Tire tracks can been seen throughout the mall from vandals. Unfortunately, the decline continued into the 2000s. Mervyn’s wing lost so many tenants that the remaining ones were forced to move to another part of the mall. JCPenney left in 2000 and the Mervyn’s wing was blocked off in 2004. By 2006 hardly any of the original retail stores remained. The owners again changed the name to Union Station in an attempt to attract new business. Management looked to find new start up type businesses to take up space in Union Station. However, with the lack of traffic the businesses could never get off the ground. Three years later, the mall was down to only 32 stores. The anchor stores were pitch black with the exception of light coming in from the entrances. The owners decided to build a family fun center in the Mervyn’s wing called Maxx-Fun. They planned to add arcades, a bowling alley and an entertainment venue where the other store fronts used to be. After construction started one of the owner’s suddenly passed away. Management assured the project was still moving forward. Although, over the next few months signage was removed and no construction resumed. Soon the mall’s website was shut down. Tire tracks in one of the stores, evidence that vandals have been inside. In 2010, the last original tenant, Chik-fil-a, closed its doors. Tenants knew the end was coming. The owners were unable to pay the power bill so the lights were turned off by Georgia Power in November 2010. Tenants had a 5 hour notice the power would be cut off and that they had to vacate the building. Macy’s and Sears remained opened since they were on separate electric meters. 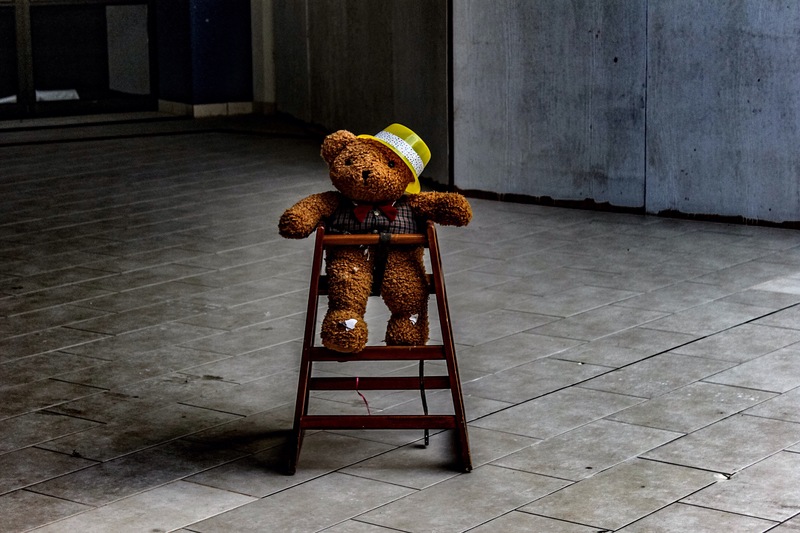 With a lack of security and maintenance Union Station fell into a state of disrepair. In January 2011, both stores vacated Union Station as it went into foreclosure. The property was auctioned off on the courthouse steps the next day. Unable to find a committed buyer, the mall sat abandoned. An investment group from Alabama purchased the property in 2014. They planned to build a film and television studio on the site. In October 2014, the mall was demolished to make way for the studio. Happened to a mall near me too. Greengate mall eventually became a Walmart plaza. Fascinating. I look forward to reading more of your posts. Instagram has an it’s abandoned site. Oh dear – this does not bode well for the two shopping centres in Ipswich UK! This sounds like their story unfolding. Since being built in the 90s they have both struggled and been through revamps including renaming one of them. One of them is just coming through another huge expensive revamp to be turned into a leisure complex with a cinema, restaurants and bowling alley I believe. But reading this, it seems as if spending huge amounts of money to revive a failing mall may be pointless – only time will tell. Another very interesting post with excellent images! I worked there around the new milenium for three years and still live nearby. Fascinating pictures and thanks for sharing! 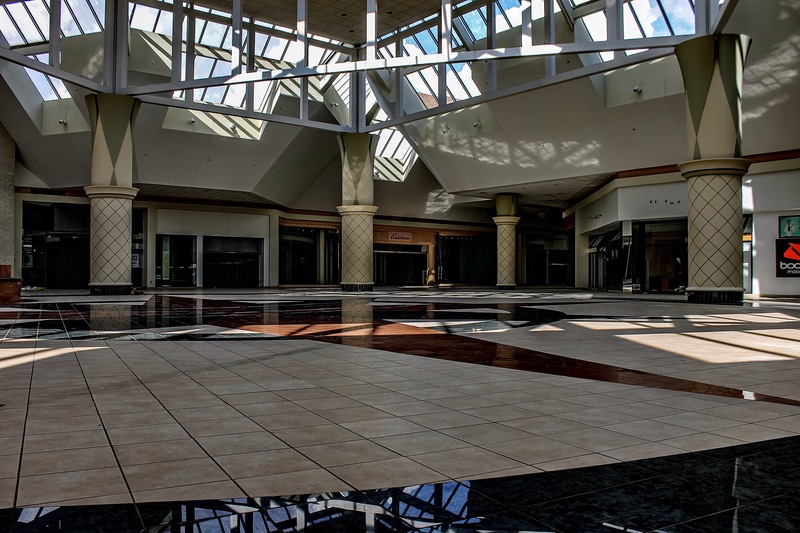 what we need to do with dying malls are change them. senior living centers, apartments, grocery store, drug store and medical facilities. seniors love to walk the mall and if they live there it would be better. they would sell their homes so they don’t have the upkeep charges. think about it a new life for dying malls. Thank-you for this. I worked in the area from 1998-2005 and would go to that Mall at least once a week. In the winter I would use the Mall to walk in. I went back to the area in 2016 not realizing it was gone and I was so shocked. Thanks for the last pictures of my Mall. Just awesome!